The world seems to be going crazy for lithium right now. Almost every carmaker from Mercedes Benz to Toyota is either selling or developing an electric car, powered by a lithium ion battery. Not content with just revolutionising the way our cars run, Tesla recently released a lithium ion battery for the home – allowing solar power to be stored and used even when the sun isn’t shining. Now, those who understand the way lithium is currently mined from hard rock sources understand it’s kind of like applying a 2,000 ° C blow torch to your hair when you all you want to do is dry it. The current ‘roasting’ method to get to the lithium requires huge amounts of energy – which costs a fortune... and produces a lot of unusable material. 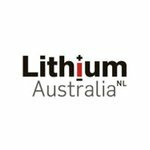 But one ASX company has secured a patented lithium processing technology that may just shake up the entire lithium industry. The technology is set to produce lithium much more efficiently, cheaper and in greater quantities than currently possible. The best part is, the raw material required to feed into this processing technology is abundant – existing lithium miners around the world have tonnes of it sitting around, and no idea how to process it. Our little company is making deals around the globe and is building up an almost endless supply of feedstock for its potentially groundbreaking technology. With a combination of abundant feedstock and cost cutting technology, our company is planning to dominate control of the world’s lithium inventories. 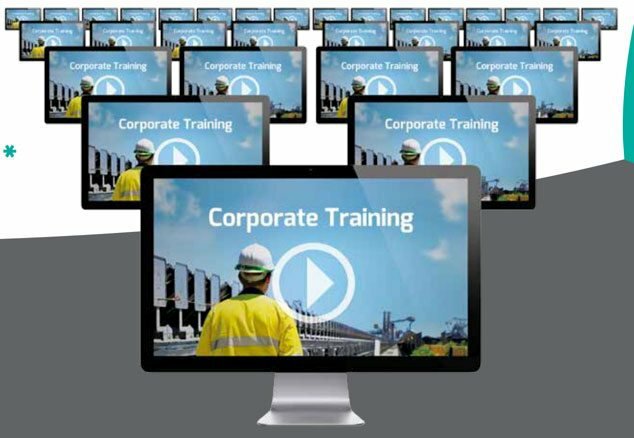 The technology is set to be commercialised over the coming months. A huge advantage of this new technology is that it has a zero-energy footprint. 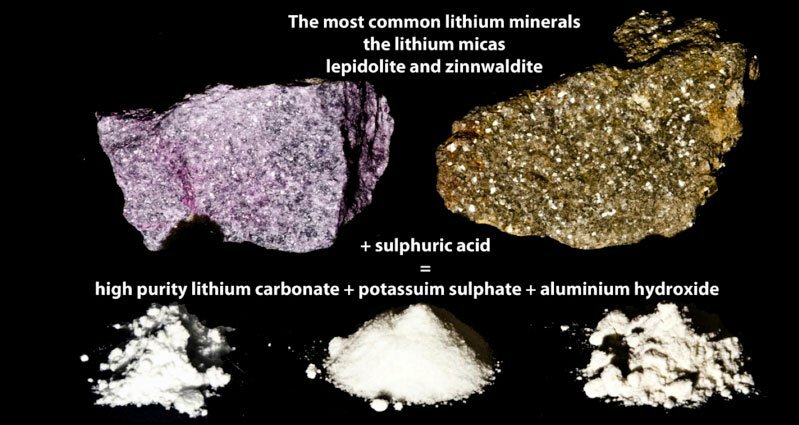 Take the readily available and abundant “unusable” material that existing lithium miners around the world don’t know what to do with... and apply their technology to produce lithium much more efficiently, cheaper and in greater quantities than currently possible. If CXB is successful in commercialising the technology, it could turn the entire lithium industry on its head. In order to achieve this, CXB has embarked on a multi-pronged strategy. First and foremost, CXB has secured exclusive rights to use and commercialise a patented lithium processing technology, developed by private company Strategic Metallurgy – a close business partner. We will get to exactly how it works shortly. 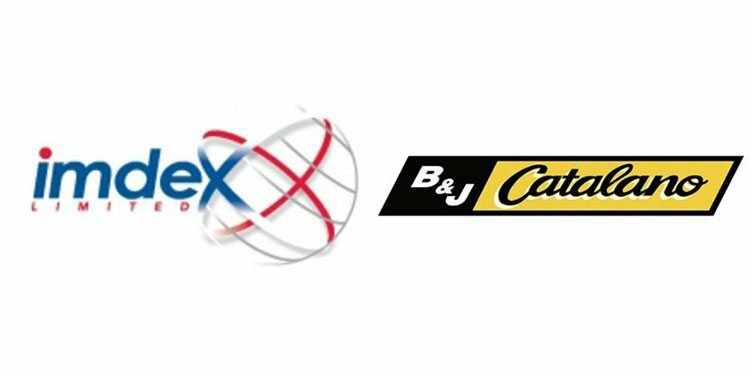 CXB also maintains exclusivity over future implementation of the technology in Western Australia, and for any two other locations globally at its nomination. Secondly, CXB has secured access to the cheap feedstock material (the low grade mica rocks) it needs from proven resources in the Czech Republic and various sites in Western Australia through additional key partnerships and alliances. And finally, CXB has put into motion plans to build a processing plant in tandem with European Metals Holdings (ASX:EMH) to process all of that company’s low-grade material into lithium carbonate, ready for sale. CXB brings the licence rights for the technology, and EMH brings the lithium bearing rocks. CXB has a non-binding Heads of Agreement (HOA) with EMH to do this at the Cinovec Project in the Czech Republic, on a 50/50 JV basis. The Cinovec Project is potentially the world’s largest hard rock lithium resource on the planet, and both EMH and CXB stand to profit from it. Just like EMH, we are also backing CXB as a lithium stock to watch – where EMH has the resource, CXB has the technology. CXB is taking positions across the globe and is building up an almost endless supply of feedstock for its potentially groundbreaking technology. To progress with commercialization of the technology, CXB just completed a capital raising of $920,000 in May 2015. The raising was oversubscribed and placed with sophisticated and professional investors. To understand the true potential of CXB, its important to understand how lithium is produced today. Taking it from a salty solution – what’s called a brine source. The production costs for brine lithium are low, involving a simple extraction process. But the capital costs to set up processing operations and then bring the product to market from remote locations, where the brine sources are commonly found, can be high. Now, hard-rock ore containing lithium is typically dug up from open-pit or underground mines using conventional mining techniques. The ore is then roasted in a high temperature extraction process to get the lithium. All of this is very expensive, and the advantage offered by the higher concentration of lithium in hard rocks can be quickly eroded due to the processing costs involved. CXB could solve hard rock lithium producers’ headaches in one swoop, by the application of its technology. As we mentioned earlier, by partnering with EMH on the Cinovec Project, CXB can take EMH’s tailings waste material and use it as feedstock on its lithium processing plant. Full commercial terms are still to be finalized, however a recent Scoping Study confirmed that for a capital cost of $164M, the companies can build a 20,000 tpa battery grade lithium carbonate processing plant. In this Study, CXB confirmed a total cost to produce lithium carbonate from micas at less than $2,000 per tonne. In the above table you can see the edge brine producers currently have in terms of cheap operating costs, with the hard rock producers stuck much higher on the curve. CXB can finally solve this cost issue for hard rock producers, given the initial cost indications arrived at in EMH’s Scoping Study. CXB’s method takes hard rock lithium as a source, but does not rely on roasting, and is thus incredibly energy efficient – and cheap. It also opens the door for lower grade ores to be processed. As we mentioned earlier, mineral producers across the globe basically THROW AWAY the lower grade lithium micas, as they chase the higher grade variety only. But CXB can use that low grade material, as their recovery process involves fine-grinding the mica and digesting it in sulfuric acid. This strips all of the metals, including lithium, out of the mica and leaves them in solution, without the need to roast the ores beforehand. As part of CXB’s new process, sulphur is burned to create large quantities of energy and sulphur dioxide – which reacts to form sulfuric acid for the leaching process. Much of the sulphur in the acid is consumed in the production of potassium sulphate, which is a valuable by-product that can be sold straight into the fertilizer market. This added synergy and re-use of ingredients effectively means CXB can produce significant quantities of lithium at a significantly lower rate compared to its peers. Not stopping there, CXB intends to create a feedback loop whereby the sulphur used to create the sulphuric acid at the front of the plant creates enormous amounts of heat. This heat can then be recycled via steam turbines to create electric energy to run the plant – Requiring no power supply from the grid. That would make CXB’s technology have a zero-energy footprint to boot. So essentially, CXB has carved out a potentially scalable business model whereby abundant raw material is combined with a low-cost processing method that gets cheaper the more you use it, due to the recycling of key ingredients. In many respects, CXB’s process allows the company to see the whole lithium market in a different light. As a rule of thumb in the hard-rock lithium industry, it is uneconomical to process concentrates with less than 5% lithium oxide due to the costs attached. CXB on the other hand, is able to process ore with a lithium oxide content of 2%-4% and still sell the same finished product at market for up to $7,500 per tonne. In addition to producing lithium, CXB’s process can isolate other metals that can also be sold commercially. As well as potassium sulphate that can be sold to the fertilizer market, CXB can sell isolated rubidium, strontium, cesium, gallium – improving CXB’s margins further. CXB recently confirmed a world first – the company achieved the steady state and continuous production of lithium carbonate from micas, using hydrometallurgical processes. The outcome of this process had not previously been achieved in the lithium sector, and marked an important milestone for CXB. CXB’s next goal is to process approximately 400kg of mica concentrates and recover a large sample of lithium carbonate for market evaluation. Feed material will come from WA’s Lepidolite Hill deposit near Coolgardie. The lithium carbonate will be sent to end users for evaluation and independent product endorsement – paving the way for CXB to start commercialising the technology. Once the technology starts to be commericalised, we would expect the world’s hard rock lithium producers to become very interested in CXB’s technology. In effect, CXB could soon control the largest lithium depository in the world – and be able to generate cash flow from it. Did you see our Next Tech Stock article on Ziptel (ASX:ZIP) $ 1.7 Trillion Telco Market: ASX Tech Company Weeks Away From Global App Launch ? The current market dynamics in the lithium industry have effectively created a perfect storm and in the eye of it is CXB. Large lithium ion battery makers such as Tesla, LG Chem, Panasonic and AESC cannot commit to multi-billion dollar battery factories without having some sort of confidence that there will be enough raw material available to keep those factories running for decades, not just a few years. If the widespread global adoption of lithium-ion batteries by consumers takes place, the impact on lithium prices could be immense and sustaining. With so many battery producers scrambling for abundant and reliable lithium sources, global lithium demand is forecast to double. Bear in mind, this the view of one research analyst so there are no cast-iron guarantees regarding future Lithium prices. Here is another view of the lithium market going into the next couple of years – demand for lithium-ion batteries has been going up steadily since 2002 with ‘Transport’ driving the majority of the increase. With electric cars now being exclusively battery-powered, the application of Lithium batteries is likely to remain popular and therefore keep demand for its base component (Lithium) well supported. Imagine how a revolutionary lithium processing technology like CXB’s might impact the battery industry? CXB is barking up this tree and it’s close to reaching the canopy. If CXB can successfully commercialise its technology, the company could become a major controller of the lithium market almost overnight. CXB’s lithium production technology literally opens up the door for a lot more lithium to be produced with more efficiency. CXB could start producing lithium cheaper than anyone else AND have a larger total resource than anyone else. CXB’s very low costs of production, at around $2,000 per tonne, ensure a competitive advantage while exclusive rights to use Strategic Metallurgy’s technology ensures potential market dominance. When lithium sells for up to $7,500 per tonne, the margins start to look very attractive for CXB. At a time when individuals and companies are looking to reduce their energy footprint and improve efficiency across the board, CXB has introduced a chemical process that sets the stage for battery power to dominate global energy consumption. What if ALL of the world’s energy production included batteries for storage and on-demand delivery? Tesla’s CEO Elon Musk is confident that 2 billion PowerWall units could store enough energy to “switch the entire world over to renewable power”. With audacious plans like that, Tesla will need a whole heap of lithium that simply dwarfs the supplies currently being produced. Even with a conservative estimate that excludes all of Tesla’s many competitors, Mr. Musk estimates that annual Lithium production must rise from current levels of around 7,000 – 10,000 tons, up to 37,000 tons ANNUALLY, just to satiate the lithium demand that Tesla’s first Gigafactory requires. That’s EXCLUDING what other battery manufacturers are planning. Global lithium supply will need to rise exponentially if battery powered energy solutions take off on a global scale. The combination of disruptive technology, abundant unutilized resources and expanding markets are compelling drivers for CXB going forward and why we are bringing you this stock.